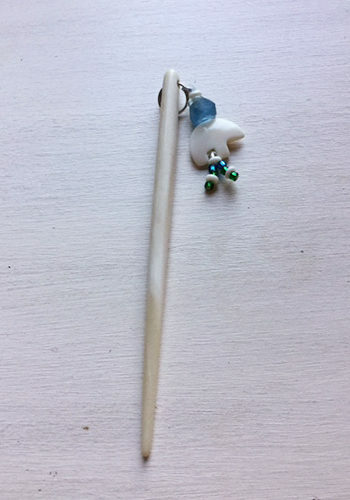 Carved Bone Whale’s Tail Hair Stick made in Alaska by Artisans. It is a known fact that Hair Sticks never go out of style. 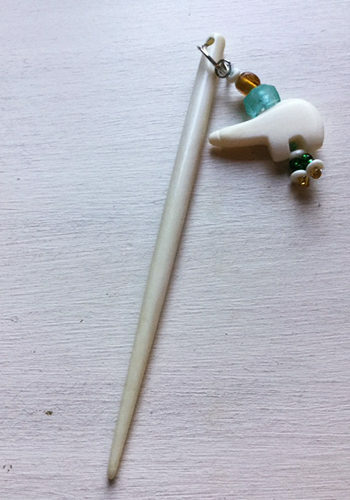 This elegant Carved Bone Whale’s Tail Hair Stick will be turning heads everywhere you go. This Majestic Whale’s Tail Hair Stick is carved from bone. Honestly the Whale’s Tail is a symbol of Alaska’s frontier. 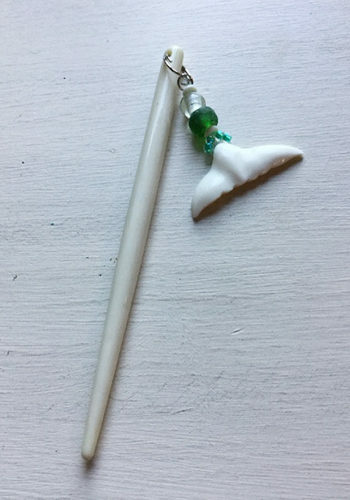 In addition these hair sticks are made from a shaft of real bone and adorned with a hand carved bone fetish depicting the Whale’s Tail. 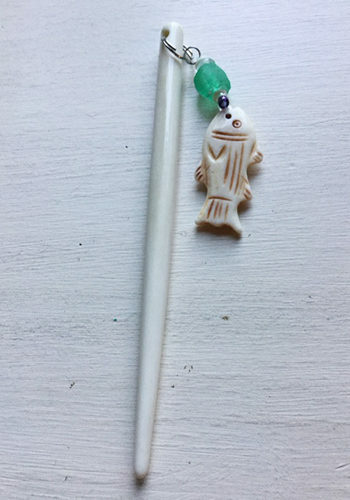 Moreover this Carved Bone Whale’s Tail Hair Stick will make a truly unique gift for some lucky lady. In all honesty you will find that each of these beautiful Hair Sticks are different and unique. 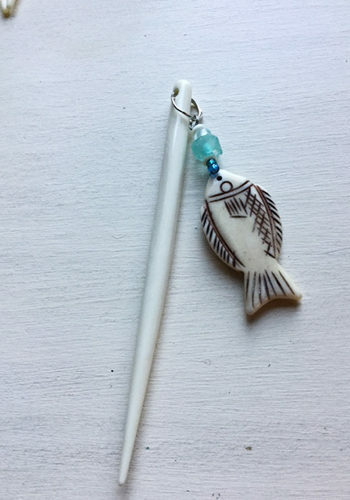 First on the list is this rustic Carved Bone Whale’s Tail Hair Stick with Carved Bone Charm. The Whale’s Tail is an age old symbol of the Alaska’s Wild Frontier. These Hair Sticks brought to life in this rustic hand carved bone fetish. Each bone fetish is hand carved and unique making each piece of jewelry unique.